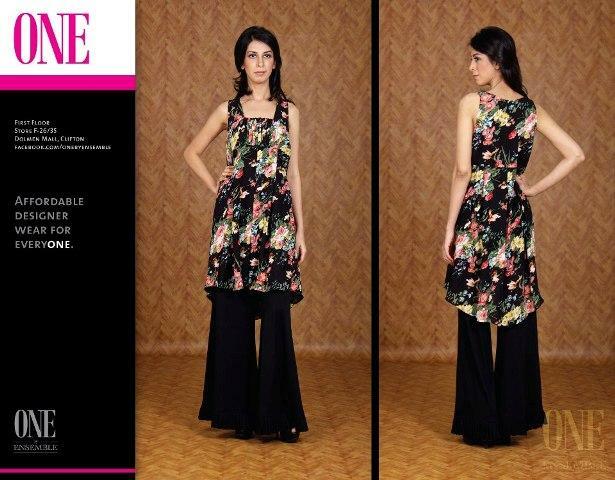 A couple of the dresses in One by Ensemble spring summer collection 2013 are by One by Ensemble but others are by famous designers. You can see dresses by Nomi Ansari, Feeha Jamshed, Sakina Sibtain, Silk by Fawad Khan and Nida Azwer. All the clothes are quite trendy. Long shirts, trousers and tights can be found in this collection. Thus, young women, who want nice clothes for the spring summer season, should check out One by Ensemble spring summer collection 2013. One by Ensemble came into being in 2012. 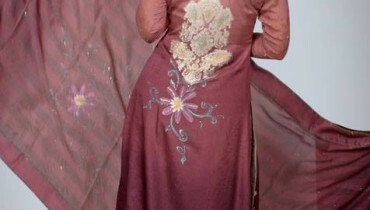 It was Ensemble’s endeavor to offer affordable designer wear for people. It offers clothes by many different designers including Nomi Ansari, Deepak Perwani, Nida Azwer, Sania Maskatiya and more are provided by One by Ensemble. 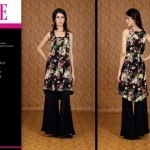 One by Ensemble dresses 2012-13 were liked by many women. In one year, the brand has managed to become quite popular since many people like the idea of affordable designer dresses and just love the stylish dresses offered by One by Ensemble.